Many people take personal loans when they are unable to arrange funds in the short term. But the same people are capable of getting the required amount after some time. 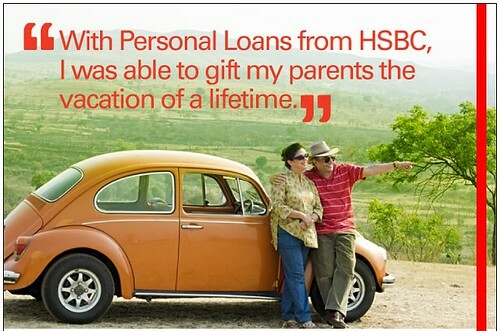 So personal loans do help these people bridge the time gap. So when these people actually have enough money to clear off the loans, does it make sense to go and do just that? 1. When you want to pre-close a personal loan, lenders might charge a prepayment penalty. So how much is the prepayment charge (generally a percentage of outstanding amount) will help you decide whether to pre-close or not. 2. Now most loans are structured in a way that they start charging interest first and principal later. So if you have taken a personal loan of tenure 2 years and you can pay the entire sum back after just 4 months, then you can save a lot in terms of the interest. However, if you are nearing the end of the loan tenure, pre-closing the loan might not make much financial sense. It is because you would have already paid most of the interest. The remainder principal would be in any case have to be repaid with time. Now these are mathematical factors. But having a clear zero-loan life gives you peace of mind that cannot be calculated by financial mathematics. So if you have surplus money available with you and which can be used to prepay a part or full personal loan, think of it in two stages. First do the math as explained in above two factors. Once it’s clear that prepaying makes sense mathematically, just go and do it. But if mathematics says that there is no great benefit of prepayment, then ask yourself as to what holds higher priority for you – saving money or peach of mind. Your answer will help you take the decision. 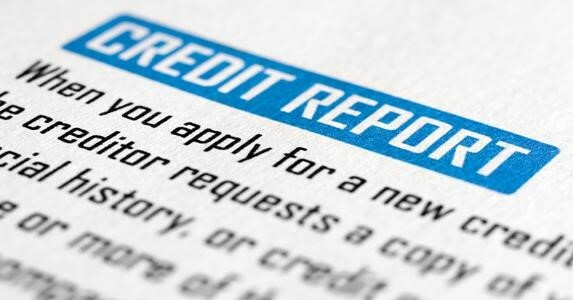 How credit scores affect your personal loans and vice versa? Unlike home or car loans, the personal loans are unsecured form of loans. So there is no collateral for lenders. So with no recourse to any security in case the failure to repay the loan, the lenders give compensate themselves for higher default risk that they are taking by charging higher interest rate. So how do lenders decide what rate to charge from different personal loan customers? There are several factors that are used to assess the risk – current income, income stability, profession, age, existing loan EMIs, credit history, etc. A good credit history means that you do not have too many loans. Also, you have regularly paid your loan EMIs in past. The idea of credit score is to help lenders gauge your riskiness. It is an indicator of your credit-worthiness and is calculated based on your financial history. So higher the risk assessed (lower credit score), higher will be your loan interest rate. To see how higher interest rates effect your loan EMIs, try using the personal loan EMI calculators online. You will get a good idea of the actual link between your risk (which results in change in interest rates) and your EMIs. But it is not that only your credit score can affect your personal loan rates. How you handle you personal loan will also affect your credit score. If you are irregular with your new loan EMIs and fail to pay them on time, it will reflect in your credit score. Slowly your credit score will start deteriorating. Remember that even a single missed payment can negatively affect your credit score. So, if you have taken a personal loan recently, ensure that monthly payments are done on time. Yeah. 18% + 2%, that’s the nightmare you’d be getting into. Caution: I know that I that might be generalizing/stereotyping a bit here (please let me know if you think otherwise). But in general, I truly believe that our parents are way more hard working, are financially way smarter, know the real value of money, and don’t really need our help financially. I wish I could at least be a fraction of what my parents were. Also shows how little the bank that claims to know it all actually knows. What do you think? Here’s what was asked and answered by Capital Advisor in March, 2011. It’s a loan closure special. If you have a question on managing your personal finances, send me an email and I’ll respond at the earliest. If your question’s beneficial to a wider audience, I’ll publish it in a future edition of “Asked and Answered,” without revealing your personal details. Query #1: On closing a personal loan. I need your advice. Here’s my scenario: Loan Amount: Rs 150,000; Tenure: 48 Months; Interest: 15%; Bank: Axis Bank; Loan Date : 01-May-2009; No repayment charges. Can you please evaluate whether this is the right time to close my personal loan and what could be the amount I should close it for? You can download my calculations with respect to your situation. One which assumes the Arrears EMI model. If you compare your Loan Amortization Sheet given by the bank with both of the above sheets, you’ll know which model is being used with your personal loan. In either case, you’ve already paid over 65% of the total interest due. Therefore, in my opinion, it doesn’t make sense to close the loan now since you’ve already paid the majority of the interest due to the bank. Whatever EMI you pay now will mostly be towards the principal itself. But, if your overarching goal is to be debt-free at any cost, then this psychological factor overrides any financial calculations. Query #2: Again, on closing a personal loan. I have a query related to my personal loan. Let me give a brief history. Loan Amount: Rs 200,000; Tenure: 5-years; Interest Rate: 11%; EMI: Rs 4,400; EMI Paid: 10-months. While availing the loan, I had originally opted for a repayment duration of 2-years. But an Executive at the Bank suggested that I opt for a repayment duration of 5-years since that option doesn’t have loan preclosure charges or penalties. Now I want to close my loan and before going to the Bank I want to do some homework and be prepared with some figures in my mind. Could you please help? The Bank asked you to opt for a longer duration simply because they can make more money off you in the form of interest charges. The Bank also recovers a major portion of the interest due early into the tenure of the loan (in the calculations that you can download below you can see that the Bank has recovered almost 30% of the interest due in the first 10-months of a 60-month loan!). Download my calculations with respect to your situation. If you compare your Loan Amortization Sheet given by the bank with both of the above sheets, you’ll know which model is being used with your personal loan. Either way, you’ve paid about 26% – 28% of the total interest due. Therefore, in my opinion, it does make sense to close the loan now since you haven’t paid the majority of the interest due to the bank. Query #3: On closing a home loan. I have taken home loan for Rs 1,870,000 from SBI for 15 years tenure @ 10.75% interest per annum. I started paying the EMI from January, 2008. I am planning to pre-close my loan before December, 2012. Is it good idea to pre-close within half the tenure? Please advice. Download my calculations with respect to your situation — this one’s different from the earlier two and is simpler to understand. By December, 2012, you’d have paid around 48% of the total interest payment due. But since it’s a home loan and since the remaining 52% represents a huge chunk of money, it’d be a good idea to go ahead and pre-close the loan. Again, if you have a question on managing your personal finances, send me an email and I’ll respond at the earliest. If your question’s beneficial to a wider audience, I’ll publish it in a future edition of “Asked and Answered,” without revealing your personal details. This is a guest post from Shilpa at Under the Rainbow. Though Shilpa claims that “she knows zilch about financial planning,” her posts always prove the opposite. In this post she explains why you really ought to be careful when you act as a reference for someone else’s financial dealings. I learned this lesson the hard way. A colleague of mine wanted a personal loan and asked me if he could use my name and number as a reference. Having known him for a long time, I agreed. A few months later he quit the company, quit the city, and changed his mobile number. We lost contact. And then started a slew of calls from the bank wanting to know his whereabouts. Since I had no idea, I said so but the calls didn’t stop. Even now, after more than two years, I get these calls when I am in the middle of a meeting, driving, or trying to put my baby to sleep. Each time a different person calls and I have to explain the situation all over again. No amount of mails, scraps, and pokes have yielded any response from this colleague. I do not want to change my mobile number because of someone else’s wrong doing. Sigh! I guess I’ll just have to answer these calls until the bank marks this colleague as a defaulter and forgets him. In this day and age, you really need to be careful about who you act as a reference for. Tip Tuesdays: When’s a Good Time to Pre-close a Personal Loan? EMIs for personal loans — or any loan in general — are structured such that the interest component of the EMI forms a significant portion of the EMI early into the tenure of the loan. For example: in the first EMI for a personal loan of INR 300,000 at 18% over 36-months, the interest component constitutes nearly 41.50% of the EMI amount! At the end of 12- and 24-months, the figures are 31% and 17.60% respectively. For this loan, at the end of 12-months, you’ve already paid 52.40% of the total interest payable (if the loan were to be serviced over its full tenure). Since there’s a significant amount of the interest yet to be paid, it would make financial sense to pre-close the loan at this point (even after including the pre-closure penalty). However, at the end of 24-months, you’ve already paid 86.90% of the total interest payable. It would therefore make little sense to close the loan at this point — you have no significant financial advantage in doing so. Look at these factors when you’re thinking of pre-closing your personal loan and decide appropriately. You might find this Personal Loan EMI Calculator handy. How to Calculate the Loan Amortization Schedule (EMI, Principal, and Interest Components) for Your Personal Loan? Download my Personal Loan EMI Calculator Excel workbook. Select the sheet corresponding to the loan duration you’re thinking of. For example: select the sheet labeled “3 Years” if you’re looking for a personal loan that you want to repay in 3 years’ time. You will now find two cells highlighted in yellow — one for the loan amount and the other for the interest rate. You need to provide your inputs in these two cells. Note that changing the data in one sheet will not affect the other sheets. 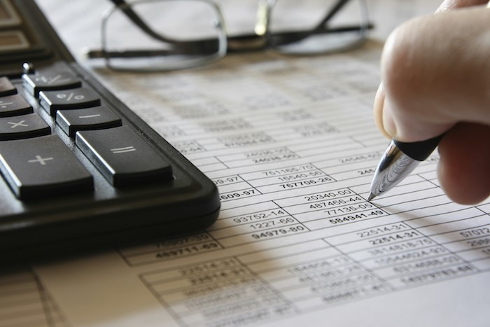 The workbook automatically computes your Personal Loan Amortization Schedule. All that is required is a bit of diligence from your side. Follow these simple steps and you are good to go. Ensure that you have received all the canceled post-dated checks that you had issued — as guarantee — to the bank/finance company when you took the personal loan. Ensure that you have received the No Objection Certificate (NOC) stating that there are no dues pending on this loan account. Store the above documents somewhere safe. A photocopy kept a different location wouldn’t hurt. I’m not being paranoid here — just that I don’t trust our modern-day banks to have their records straight.